This dedicated member of Bishop Walsh’s pioneer faculty (1966) was certainly noticed—and esteemed—during the 45 years (1966-2011) he gave to Western Maryland. 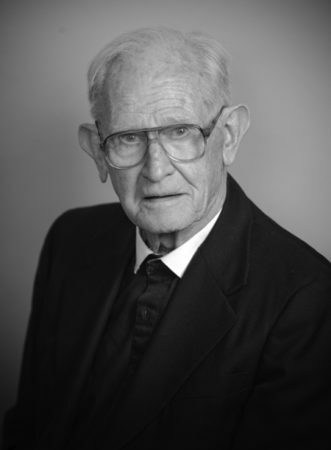 A native of Wheeling (WV) like his older sibling (Brother Stephen), Brother Paul had a knack for teaching physics and general science with abundant patience and wit. His quiet demeanor masked an uncanny ability to understand the ups and downs of young people. He was a master of cheerful approachability, in and out of the classroom. Many grads remember science-oriented field trips on Saturdays, such as cave exploring or rocket launching. Countless were the hours this “Mr. Fix-it” gave to the physical plant on Haystack Mountain, saving B.W. hundreds of thousands of dollars over the decades. “Go find Brother Paul” became a rallying cry when any maintenance dilemma arose. In the 1990s, the school appropriately inaugurated the Brother Herman Paul Golf Tournament each autumn. Brother Paul joined the saints in heaven on December 26, and we all stand just a bit better for having known him.